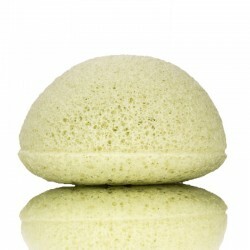 Konjac Sponge for Oily & Acne Prone Skin with Bamboo Charcoal. 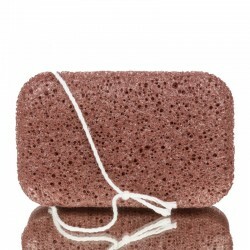 Recommended also for teenagers' skin. 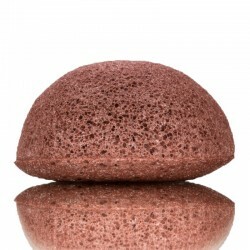 This sponge is ideal for men, teenagers with oily skin or those who are prone to acne and blackheads. 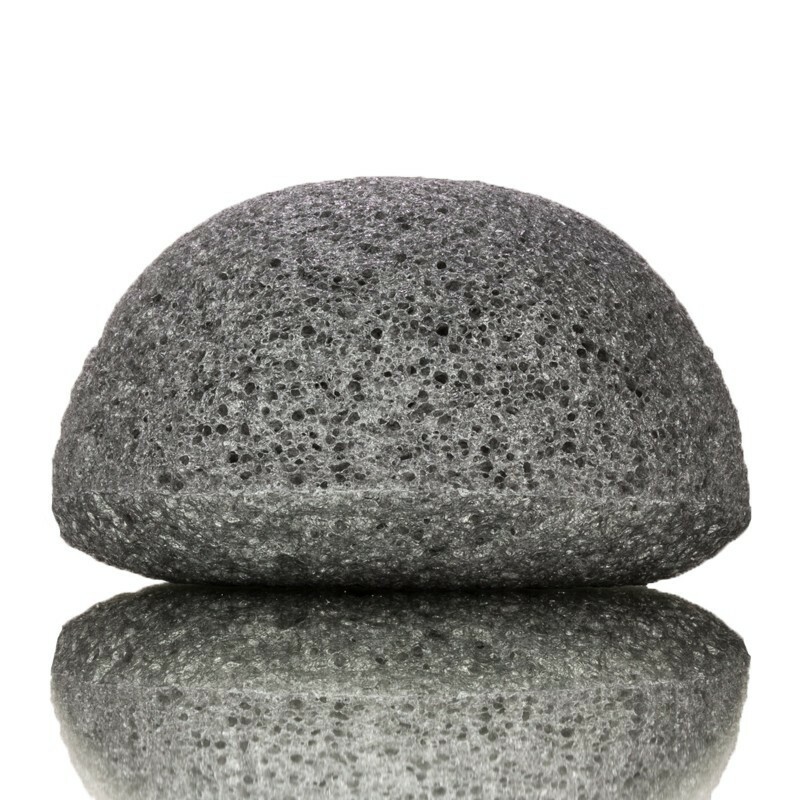 By adding Bamboo charcoal blemishes and fat are better removed, thus ensuring a soft and supple skin. 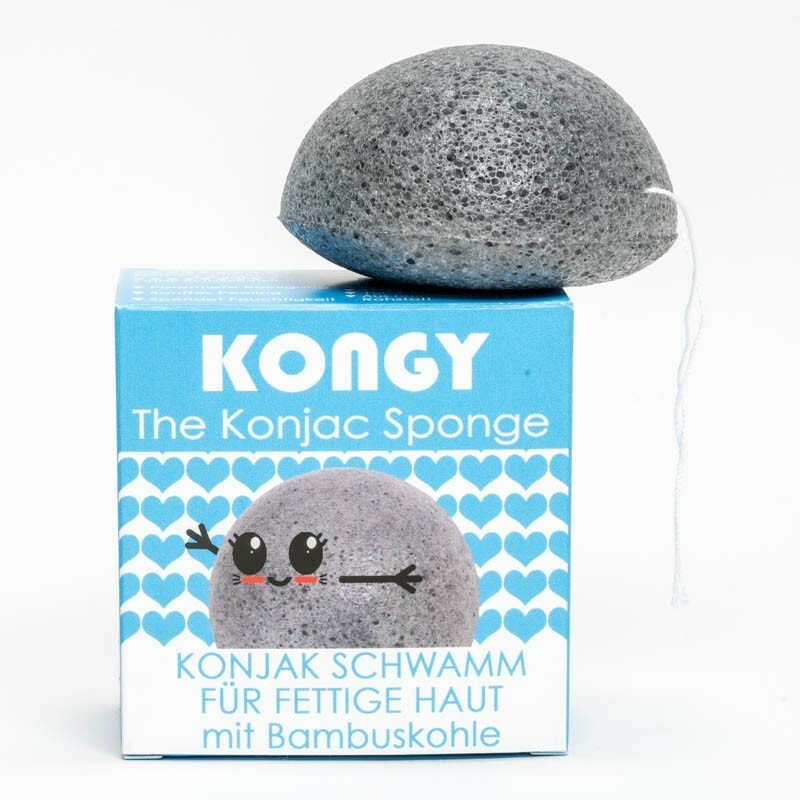 The bamboo charcoal is a natural antioxidant against skin bacteria and the sponge gets also its black color. 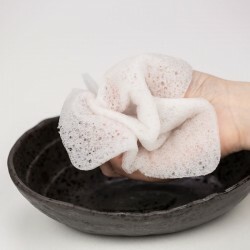 Removes blackheads, dirt & oil residue.